Wide-ranging thoughts about shortstops . . .
First, our overdue and appropriate thank-yous and farewells to Alex Gonzalez. Upon returning to Boston via Cincinnati on August 14, Gonzalez immediately and gracefully filled the Red Sox’ need for stability at shortstop after the clock struck midnight and Nick Green turned back into Nick Green. No, “Gonzi,” as Terry Francona calls him, may not have been as important to the Red Sox’ postseason push as fellow in-season pickups Victor Martinez or even Billy Wagner. But he was important, and he did everything expected of him and then some; his .769 OPS in 44 games with the Sox would have stood as the second-best full-season mark of his 11-year career. I would have been cool with the Sox bringing him back — not only at the discounted $3 million rate they supposedly were willing to offer him, but even at the $6 million option that they chose not to pick up. My reason for that is simple and purely aesthetic — I liked watching the guy play defense night after night. Maybe his range wasn’t what it was during his dazzling first go-round with the Sox in ’06, when he played the smoothest and flashiest shortstop most of us have ever seen around here (though he’s still 1A to Pokey’s No. 1 in my subjective ratings). But his defensive metrics were still pretty respectable (10.5 UZR/150), and watching him sure beat watching Green endanger the daring inhabitants of the first base Field Box seats. That said, I understand why they didn’t bring him back . . . and Gonzalez apparently did too since he took the guaranteed $2.75-million bird-in-hand from the Blue Jays rather than wait until the general manager’s meetings while the Sox scoured for another option. He’s 33, and he’s had serious knee problems, and his value is nil if he’s not superb defensively. The semi-uproar around here over Gonzalez’s departure came as somewhat of a surprise given that Francona hinted during a recent WEEI interview that the Sox were looking for a superior alternative, with the manager even accurately citing Gonzalez career .294 on-base percentage. As Patrick Sullivan noted at Baseball Analysts, Gonzalez is the 15th-worst hitter in baseball since 2005 in terms of adjusted OPS. The Red Sox want more offense from the position; no other explanation is required. Sure, it was a treat to watch Gonzalez field. He served his purpose here, always steadily, sometimes spectacularly. But it is all right to appreciate a player while recognizing that it’s also time to say goodbye. By the way, check out this weird piece of baseball symmetry: The player most like Alex Gonzalez statistically in the history of baseball according to baseball-reference.com’s similarity scores is . . . the other Alex Gonzalez. Yes, the one who proven just as stone-handed as Steve Bartman — and did more damage to the Cubs’ hopes — in the infamous Game 6 of the 2003 NLCS. Curiously, that Alex Gonzalez’s most similar comp isn’t the the ex-Red Sox A-Gone, but Zoilo Versailles, the 1965 American League Most Valuable Player. In a related note, it’s too bad this guy never made it. Then we’d really be confused. I suppose we’re also late in addressing the story of the day: Dustin Pedroia’s willingness, even eagerness, to move from 4 to 6 in your scorebook. Today’s unexpected story makes for some enjoyable hot stove chatter . . . and it also makes considerable sense for the Red Sox to float this as a potential option. While I tend to believe it’s just another instance of the club considering and weighing all possible options and solutions — it’s one of the great characteristics of the front office in the Theo Epstein era — the suggestion that they’ll move Pedroia over a few feet to his right and pursue someone such as the Reds’ Brandon Phillips or ex-Dodger Orlando Hudson also provides them with some degree of leverage with any shortstop they may be considering, whether that’s Marco Scutaro (likely) or Adam Everett (unlikely, given that he was the worst hitter of the last five years on that BA chart we mentioned a moment ago). The Sox’s options at shortstop beyond Scutaro do appear to be few and far between. Hanley Ramirez is a particularly wishful daydream given that, you know, he’s one of the five finest players in baseball, he’s the signature player of a team moving into a new stadium, and he’ll make just $7 million next season. Arizona’s Stephen Drew and Atlanta’s Yunel Escobar, talented though they are, would probably cost more than they are worth. And you’re better off hoping that Jed Lowrie’s wrist injuries aren’t chronic than searching for anything of value in free agency. Orlando Cabrera’s legacy here will and should remain his crucial contribution in 2004 and nothing else. Bobby Crosby is an injury-prone tease who owns a worse career OPS than Gonzalez. Miguel Tejada is shortstop only in the loosest sense — he had a -13.9 UZR last season and may or may not have early-onset rigor mortis. And if you ponder the rest of the class — Khalil Greene, anyone? 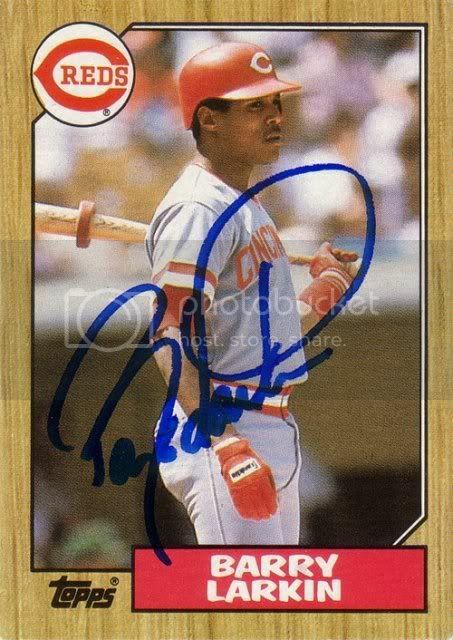 — too long, you suddenly start thinking that Barry Larkin looks pretty smooth in those MLB Network studio demonstrations and wonder if he might be up for a comeback at 45. All of that considered, yes, it does make sense to at least give real consideration to shifting Pedroia, who probably wouldn’t be any worse than average defensively. It’s common to claim this Shortstops Carousel all began with the Nomar deal — I suspect pretty much every sports radio host in the city has exclaimed this week that the Sox have had 17 starting shortstops since the July 2004 trade, which disingenuously includes the likes of Ricky Gutierrez and Royce Clayton. But it seems to me the trouble really began with the Edgar Renteria disaster. It’s easy to say with hindsight that letting Orlando Cabrera go after the 2004 season was a foolish mistake, but the reality was that Renteria appeared to be an upgrade. He’d hit .305, .330, and .287 in his last three seasons in St. Louis, and while Gold Gloves (and SI Sportsman of the Year awards, for that matter) are hardly an accurate measure of a player, he was widely regarded as a very capable defender. I’ll admit it; I loved the signing. Plus, Renteria already had contributed to one Red Sox championship with a well-timed one hopper to Keith Foulke. That’s how you make a good impression on your future fan-base. Turns out it was his last good impression with the Sox. It did not take long in the 2005 season to realize that he looked as if he’d A) aged five years in the offseason or B) spent his winter casually wading in a pool of cement. It went so badly, defensively and personally, for Renteria — you may know him as Rent-A-Wreck — in Boston that he was one-and-done here even though the only appealing alternative in free agency was Julio Lugo, whom Epstein has admitted was essentially signed because there were no other remotely appealing options. Little did he know, huh? So, yeah, don’t blame the Nomar deal. It’s all that mummy Renteria’s fault, because had he not turned out to be such a disappointment, we’d never have become acquainted with Lugo. And after all of those spent words, we now arrive at the predictable conclusion: The Sox are going to sign Scutaro, aren’t they? I assume it will happen even if it means giving up the draft pick (though I’m not entirely writing off this theory). I worry that it’s a little too reminiscent of the Lugo situation before the 2007 season — the Sox chose not to retain Gonzalez then just as now, and they ended up replacing him with the best of a lousy lot. And it should be of something more than minor concern that after five mediocre-to-subpar seasons as a starter, Scutaro had a career year in a contract drive at age 33, putting up .282/.379/.409 numbers along with a career-best 12 homers. That’s not to suggest Scutaro is a wholly unappealing option. He works the count, walking 90 times last season. And defensively, he’s at least adequate — his UZR rating dropped from plus-23 to plus-1 from 2008 to ’09. But — and this is purely visceral, obviously — he was all over the MLB Network’s 2009 defensive highlights package for shortstops. Hey, it’s something, and maybe he’s a better player than we’ve recognized all of these years. I just wish I could shake the feeling that I wrote similar words after the puzzling Lugo signing in December 2006. The last thing Epstein needs on his résumé is another E-6.